I’ve traveled a circuitous culinary path in seeking vinaigrette variations of note, tasting and rejecting as many as I’ve enjoyed in the salad bar of life. My first venture into the dressing unknown came in the blue cheese realm at an early age as a guest at a friend’s house for supper. Poised with my best manners and crew cut pomade intact, I knew “No thank you, I don’t care for any” was not an option when in another family’s house (or my house for that matter). Door closed and safe, I spit out the gummy mess, and cupped my hand under the faucet to begin a rabid gargling session. Trying to wipe my tongue with rolled toilet paper proved a linty proposition, so I continued the faucet flush. Back at the table, my sister could see right through me but kept her silence. (Thank you Linda.) I used one of her tactics and scattered the salad about the plate, suggesting I had eaten most of it. I survive that salad, and as an adult, I love blue cheese dressing, so there’s hope for us all. These days as a sage salad eater, I keep it simple with a base dressing or vinaigrette that is easy to whip up and splash on. The recipe is from my friend Karen of La Biondo Farm. (And by the way Karen reached her Kickstarter goal thanks to kind and generous folks (thank you very much) and is having her mobile pizza oven built. Seconds later your salad is ready for the pour and toss. 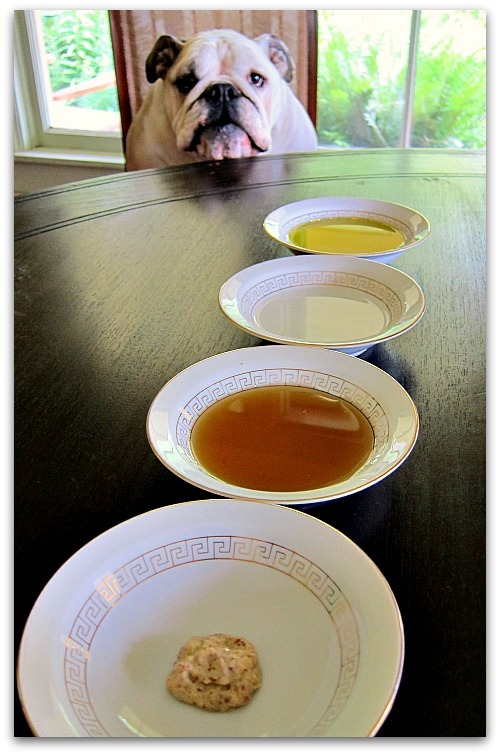 Boz is quick to point out (again) that olive oil on dog food promotes a shiny coat. Our friend Pat had a great idea: for a healthy snack, dip a whole lettuce or kale leaf in the vinaigrette and munch away on a guilt-free treat that’s good for you. Enjoy! And thanks to Karen and Pat! Oh, I’ve never put maple syrup in a vinaigrette before. I’m intrigued, and will definitely give this a whirl over the weekend! Yep, I was skeptical at first Claire, now I’m a believer! Maple syrup is just not for my pancakes and waffles. I had to read that three times. THREE TIMES. That’s a poetically beautiful line… and a beautiful vinaigrette!!! 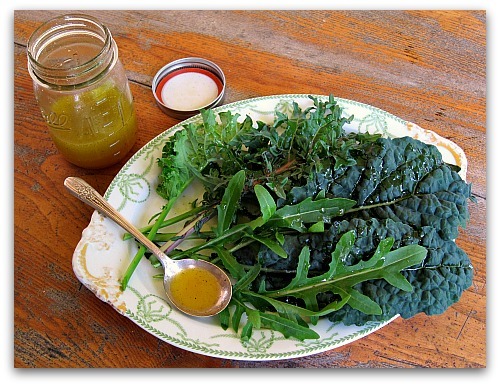 I’ve been harvesting various greens daily, I must try this! Thanks Donna, I’ve got to get on that book, and maybe quit weeding and painting for a few days. Your kind words made my day. I appreciate your encouragement. 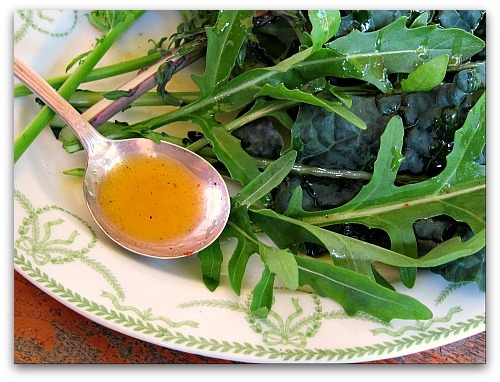 Love the hot taste of arugula, bet it’s a nice combo with the maple syrup sweetener. A great & tasty simple maple, mustard & white balsamic vinegraitte! I love those flavours together! And to dip home-grown raw veggiies into that tasty vinegraitte must taste amazing! A lovely post! Oooh, I love a good vinaigrette. This one sounds fantastic, Tom. Thank you! 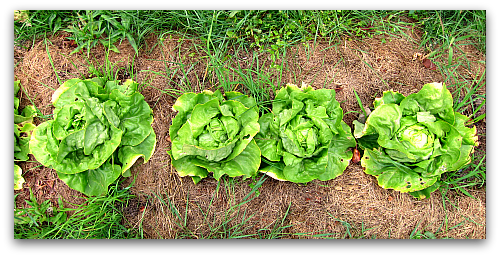 Tom – There is nothing better than homemade vinaigrette’s – and homegrown salad greens! Yummm…I agree with Donna – any book you write is bound to be a winner! 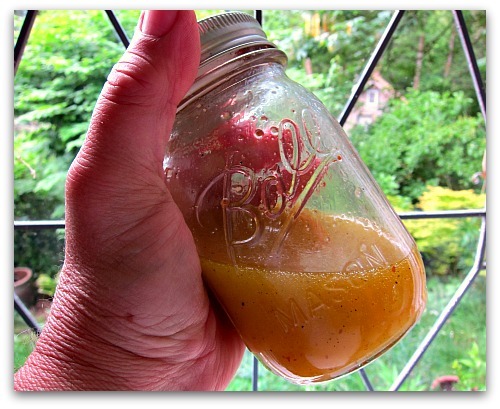 Tom – I love homemade Vinaigrette’s especially with homegrown salad greens! An I agree with Donna – any book you write is bound to be a winner! Like Claire, above, I have never used maple syrup in a vinaigrette — but, I’m going to tomorrow. I’m going to make a salad (with greens from my garden) with this vinaigrette, alongside copper river salmon — for Father’s Day. sounds wonderful! I love maple syrup, just have never tried it in a vinaigrette; this dressing, minus the maple syrup, is what I was given a chore to do in the kitchen every day while we lived in France. It is a classic. Great with avocado!!! Delicious! Will try it that way, love maple! (funny story too! That sounds amazing! I will be trying it on my salad this today. Thanks for sharing. And, beautiful pics as always! Love vinaigrette with maple syrup and balsamic topping greens, apples or pears and toasted walnuts. Darn …just made myself hungry. 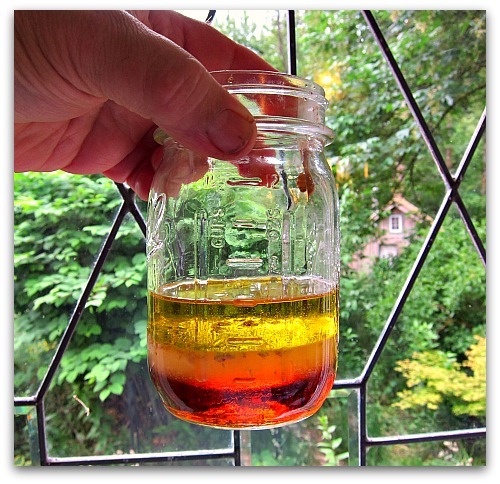 I think i’ll try this out with an AK twist- by using birch syrup. Let’s hope that turns out just as tasty. My apologies for trying to drag quince into the salad dressing post. (though it would be an intriguing experiment, over poached quince). I found your blog as I was snooping around the web looking for folks growing cydonia oblonga. I read your 2 entries for 2009 but found no others. What’s the story 3 years later? I’m on the opposite coast, been growing quince now for 8 summers, have as many cultivars, still smitten. Off-topic? Sara apologize not, as my life is non sequitur. Quince, how do I love them, let me count the ways. I now have three quince trees which have been under deer attack for the last several years. This year the trees have reached above-deer-muzzle height so things are looking good. I have aromatnaya, Van Deman and I believe Kuganskaya. Not sure about the latter, but it’s raining, and I’m warm in the house and don’t want to get my bunny slippers wet. 😉 I’ll confirm that during our next dry spell. Tell me, what do you do with your quince? I usually make quince jam and quince paste. This year I will try baking with it. Maple syrup is new to me, but I’ll try it because I make all my salad dressings from scratch and vinaigrette is probably my favorite. Sara opened the door for off-topic responses, but I have to tell you that I just spent half an hour pinching suckers off my tomatoes (all heirloom varieties) then came home to peruse your site some more and found your April post/collection of tips for growing tomatoes and was chagrined to read one shouldn’t do what I had just done. Oh, I hope I haven’t ruined my plants. Now, I must return to the garden and apologize to the tomatoes for hacking off their lower limbs and suckers. In my defense, I didn’t remove anything that had blossoms or even the hint of flowers. PS: I use chopped quince in my apple cake, along with the apples. Hi Martha, first of all love the quince in apple cake idea as they really hold their shape and texture and would add a nice tartness. As for the tomatoes, not to worry, I just think you get more tomatoes without pinching the suckers. In the realm of trellises, you might try making a tall narrow open wattle like I do for my pole beans: http://www.tallcloverfarm.com/103/a-wattle-for-your-pole-beans . It’s a lovely dressing. Tried it yesterday. I also used it, mixed with some soy sauce, as a marinade for fresh snow peas, which I sauteed and served over udon noodles. Really good! Sandy, that sounds great. I use the dressing on fresh chopped snow and snap peas. I slice them up about the thickness of shoestrings. Great texture and crunch! Mmm… I had a vinaigrette I’d already made sitting on my kitchen counter (olive oil, apple cider vinegar and seasonings) so I added the maple syrup and mustard and yep, they definitely put it over the top. Thanks for another good one! Tom, although the dressing sounds wonderful, I’m curious about salad platter. The green and white pattern is gorgeous and something I would not be surprised to find buried in the depths of my mother’s basement. Is it a special pattern? I found your site while searching for strawberry rhubarb jam (can’t wait to try). Love your stories about your dogs – and I look forward to reading more! Hi Betsy, thanks for remarking about the china, it really is lovely. I don’t know the pattern; it’s French porcelain, with a stamp on the back and the words Wm Guerin Limoges Frances, which dates between 1891-1932. Thanks for visiting and taking the time to make my day. List, that’s great, I’ll have to post a couple more of Karen’s great recipes. Thanks! Maple syrup is not just for chicken and waffles either. I want to try this, but will have to make do with plain white wine or apple cider vinegar. And the customizations sound terrific! Haha! My mom tells the story of when she was little and at a friend’s house for dinner and they served cooked peas- her least favorite thing in the world. She ate them first to get them out of the way, and the friend’s mom said: “Oh! You must love peas! Here, have some more!” I think she probably cried at that point. 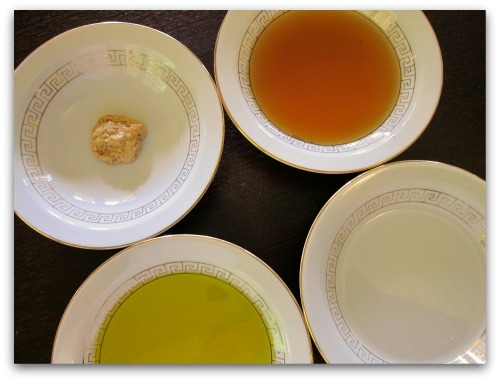 My favorite easy dressing is grainy mustard, honey, and apple cider vinegar. No oil needed, and it is delish!! Especially on arugula. Yum. Ok White Balsamic is on the grocery list! Featured your Best Carrot Salad over the weekend for two family dinners and the Dino Picnic. Yum. This is such a great recipe. It is a new favourite in our home with all the spring greens in the garden! Thank you! from Nova Scotia. Thanks Bren, so glad you like it! I greatly benefited from the comments! I used up the rest of my white balsamic in the first trial of this dressing – it was such a hit that I decided to make it again but I don’t have any white balsamic left. Eek! So I’m going to give the whole thing a run with apple cider vinegar!